"Class of 1952 Gift -- Scholarship Fund"
The Bryant University community may access this article here. The New York Times (07/27/1952) reported that the Class of 1952 "has set up a special scholarship fund, to provide financial assistance to a student who may wish to continue his studies in a graduate school. 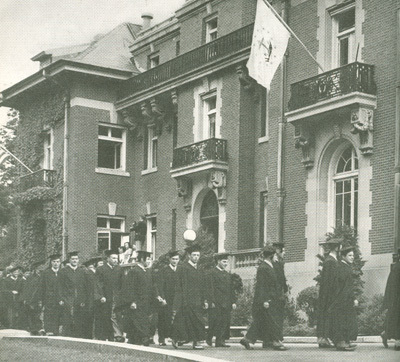 The Class Gift was presented by Robert L. Gaudette '52 at the 1952 Commencement.